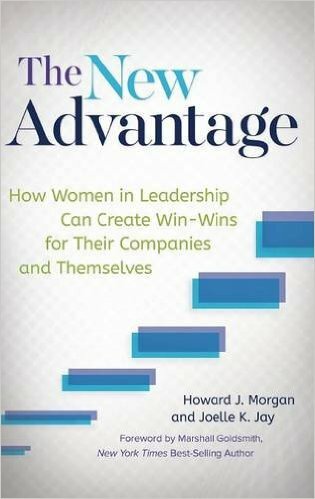 Balanced leadership leads to better business.The good news is that women are in the position to empower themselves to advance as leaders. Best of all, they can do it in a way that supports not only their professional aspirations but also a balanced quality of life.The New Advantage reveals strategies for what works in improving business results by advancing women as leaders. Learn more at www.TheNewAdvantageBook.com. Amazon | Barnes & Noble The Strategic Playbook Chronicling 30 Years of ESPN “If you’re a fan, if you’re a fan, what you will see in the next few minutes, hours, and days to follow may convince you that you’ve gone to sports heaven.” With these words, the Entertainment and Sports Programming Network went live on September 7, 1979. Launched by sports junkies, funded by an oil company, and marginalized by critics and broadcast networks alike, the fledgling ESPN ultimately transformed sports from an American pastime to a global business. Dr. Smith, witnessed this transformation first-hand as ESPN’s lead management consultant. For twenty years, Dr. Smith has counseled, coached and critiqued ESPN’s senior team as they’ve built an unrivaled sports entertainment empire. Now, he’s distilled the lessons of two decades into the guiding principles that have turned a cash-poor start-up into a worldwide brand valued at more than $25 billion. The Taboos of Leadership Painful, touchy, intimate, difficult-to-discuss, and politically incorrect taboos of leadership are the subject of this book. By holding them up to the light, judging them for good or bad, exposing their myths, and revealing their underlying truths, Smith creates a helpful and instructive description of leadership that will benefit leaders, their followers, and those who aspire to become one or both. Thousands of books have been written on leadership, but too many have confused the biography of the “leader” for the act of “leadership.” We talk about Servant Leadership, Leading with Heart, Leading with Soul, Leading Quietly, and the Art of Leadership. Unfortunately, for those who want more than just inspiration, and to learn the real truth regarding leadership, little has been written. Leadership coaching has become vitally important to today’s most successful businesses. The Art and Practice of Leadership Coaching is a landmark resource that presents a variety of perspectives and best practices from today’s top executive coaches. It provides valuable guidance on exactly what the best coaches are now doing to get the most out of leaders, for now and into the future. Revealing core philosophies, critical capabilities, and the secrets of coaching success, this one-of-a-kind guide includes essays from fifty top coaches, including Ken Blanchard and Frances Hesselbein. Packed with cutting-edge ideas and proven best practices, this is the definitive source of information for anyone dealing with coaching. Leading Organizational Learning brings together today’s top thinkers in organizational learning—including Jon Katzenbach, Margaret J. Wheatley, Dave Ulrich, Calhoun W. Wick, Beverly Kaye, and other thought and industry leaders. This handbook helps business, government, and nonprofit leaders understand how to master learning and knowledge sharing within their organizations. This one-of-a-kind volume is filled with chapters that directly address the most current ideas, concepts, and practices on the topic of organizational learning. Acclaimed authors, world-renowned thought, global, and industry leaders, managing directors, and presidents of leading organizations have contributed their original essays to this provocative collection. “Hesselbein and Marshall Goldsmith, one of the USA’s top executive coaches, edited the collection The Leader of the Future 2. Its 27 eloquent essays provide a kind of hopeful, idealistic best-case scenario for future leaders of non-profits and businesses. This is not a cookie-cutter, how-to approach. The job of the essayists is to provide food for thought and goals. The high quality of writing here should inspire anyone who has aspirations for leadership.” Tony Smith’s article in LOTF2 is The Puzzles of Leadership, co authored with Steve Bornstien, CEO, ESPN; pp.281-292. Although books about leadership abound, The Inner Edge is one of the few that focuses squarely on the leaders themselves. This is surprising given that the results of a leader depend largely on that leader’s clarity, engagement and sustainability. Leaders must not only concern themselves with the vision and achievements of their organizations, they must prioritize their own needs to be able to make their most valuable contribution. With her insider’s knowledge of what leaders need to thrive, drawn from the experience with hundreds of leaders from America’s most successful, most admired companies, executive coach Dr. Joelle Jay, Ph.D. provides fresh insights into the experience of being a leader. Learn more at joellekjay.com/the-inner-edge/. The Organization of the Future In this second in a series sponsored by the Drucker Foundation (The Leader of the Future, Jossey-Bass, 1996), 48 distinguished managers, academics, and writers have contributed highly readable articles on modernizing organizational structures and hierarchies. A unifying theme is that the way managers have divided up work and assigned tasks and resources in organizations must be examined through the lens of customer satisfaction and employee empowerment. Of the many excellent contributions, some that stand out include Joel A. Barker’s description of the Mondragon Cooperative in Spain as an example of workplace democracy; Rosabeth Moss Kanter’s exhortation to managers to place employees at the heart of any organization design; and Jeffery Pfeffer’s review of how America’s managers organized in the past. The somewhat academic tone should not prevent the book from being read by those at the helm of today’s organizations. Tony Smith’s article in OOTF is Human Capital in the Digital Economy, co authored with Tim Kelly, CEO, National Geographic Television; pp.199-212. Paul Gaske’s article in OOTF, co authored with Ric Duques, CEO, First Data Corp, is The “Big” Organization of the Future; pp.33-42. Leading in a Worldwide Market by Steve Rumery, Ph.D. Today’s borderless world provides extraordinary opportunities for business, but it also presents a rather daunting landscape within which today’s organizations must operate. 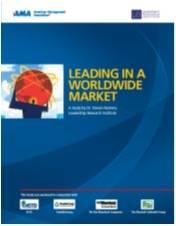 The task of leading organizations globally is particularly challenging, based on the results of a recent survey conducted by Leadership Research Institute and a consortium of leading training and development companies including the American Management Association (AMA), the American Society of Training and Development (ASTD), FranklinCovey, The Ken Blanchard Companies and Marshall Goldsmith. Results of the survey clearly identified a number of skills that global leaders need to be successful, including core leadership behaviors like communication and strategy, fostering creativity and innovation, developing other leaders and driving for results. However, additional skills become critical for leaders in global roles, including being open to new experiences, dealing with ambiguous situations and having deep international experience.